It's been too long. Far, far too long. I absolutely adore creating recipes, photographing them and reaching out to the world via my blog. My absence has not been due to a lack of love or passion for this creation of mine. I have been spending my designated blog time studying for the GMAT. Super fun. Su-per Fun. Unfortunately, I'm not quite done yet either. I will take it for the second and final time at the end of January and then I can say goodbye to the GMAT for good. Whoop whoop. But enough about my absence. Let's talk about my absolute favorite time of year. Seasonal fall baking and cooking rocks my world. I'm one of those people who can put pumpkin in everything from September (ok, let's be honest...August) to March and not get remotely sick of it. I start doing upper body workouts in the spring purely motivated by the beautiful hard body known as winter squash. Sidenote: Delicata squash is my latest obsession and it is delicious and quite easy to cut through. Win! I also tend to make endless amounts of sweets this time of year. Thanks to Sally's new cookbook, Sally's Candy Addiction, I've been making loads of delicious fudge and truffles. 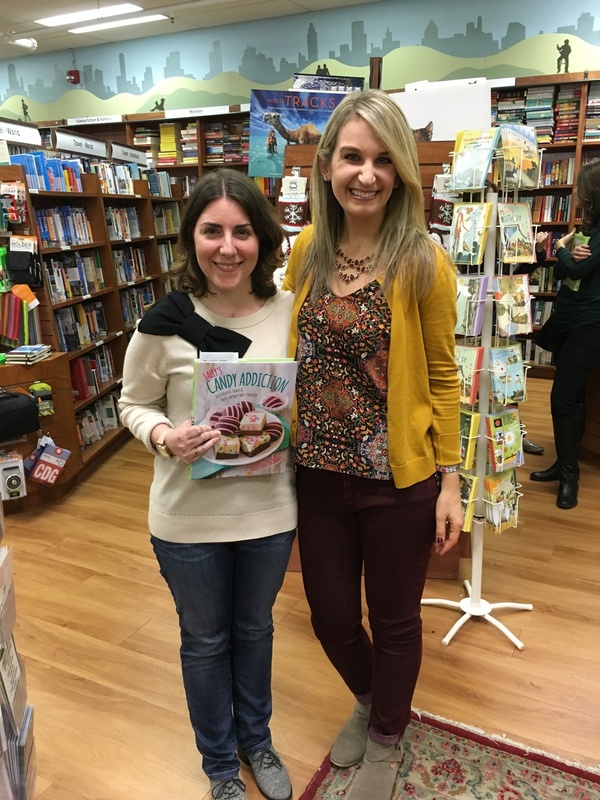 Sidenote #2: I was able to meet Sally on her book tour! She is super nice and such an inspiration! Unfortunately, all that time spent on sweets means less time for week night dinners. That's where this recipe comes in. 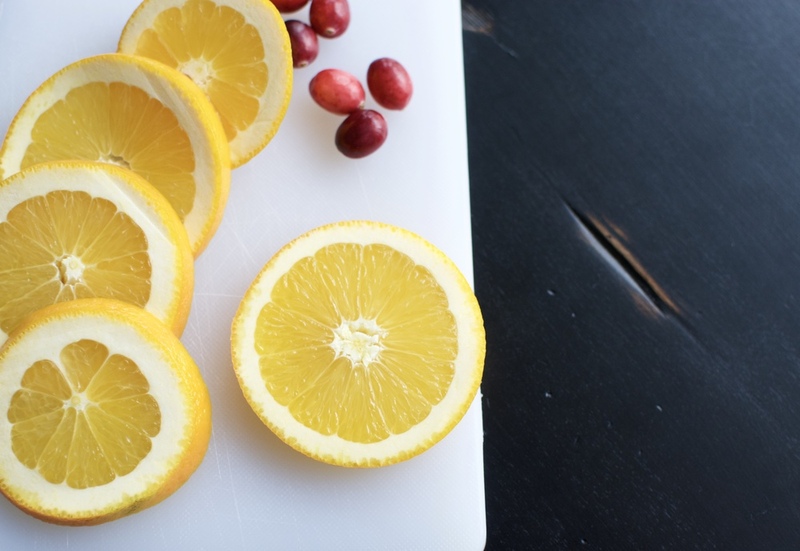 It is super easy, doesn't skimp on seasonal flavors and will surely impress those you make it for. The sweet, nutty brown butter is the perfect complement to the refreshingly tangy cranberry sauce and creamy brie. The cranberry sauce goes a long way, so each serving will only get a healthy dollop. 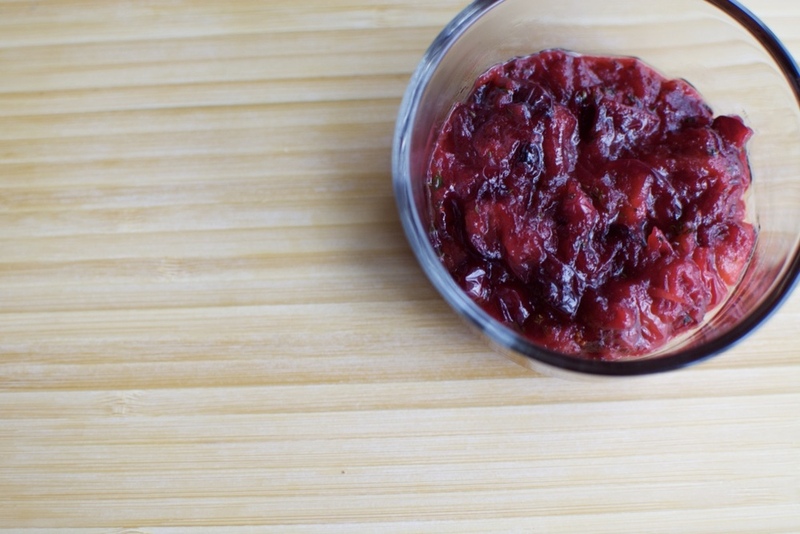 If you are a true cranberry lover, you can double the cranberry sauce aspect of the recipe. First prep your ingredients. Zest the orange, halve, and squeeze the juice of half into a small bowl. You should have approximately one tablespoon of juice. Juice the other half if necessary. Be sure your thyme, pistachios and brie are chopped and ready to go. You will be making the pasta and sauces at the same time. Bring a large pot of salted water to a boil and cook the spaghetti according to the box directions. Simultaneously, in a medium skillet (I used 8 inch) over medium low heat, add a tablespoon of butter. Let the butter melt and once it is foamy add the cranberries, thyme, 1 tablespoon of orange juice and maple syrup. Stir frequently. After 2 - 3 minutes, the cranberries will become soft and start bursting (watch out!). At this point, use the back of a fork or spatula to crush the cranberries until their juices are released. Continue to stir and remove from heat once you have a thick cranberry sauce with cranberry skins throughout, approximately 2 - 3 additional minutes for about 5 minutes total on the heat. Add the sauce to a small bowl and set aside. Wipe the skillet clean and cut the remaining 6 tablespoons of butter into tablespoon sized chucks and add to the skillet over medium low heat. Stirring frequently, allow the melted butter to foam. Once foaming, whisk constantly. The butter will start to form light brown bits and develop a light golden brown color and a nutty smell. Remove from the heat and immediately pour into a small bowl. At this point, the pasta should be finished cooking. Drain it and add back to the pot. Add the chopped brie and browned butter immediately to the hot pasta and incorporate throughout. The brie will want to clump together, but try to evenly distribute. Season the pot of pasta with salt and pepper to taste. To serve, add the browned buttered pasta to each plate, top with a dollop of cranberry sauce, pistachios, thyme and as much orange zest as you would like. Enjoy!